And sports, of all things, has become an arena of tenacious resistance. 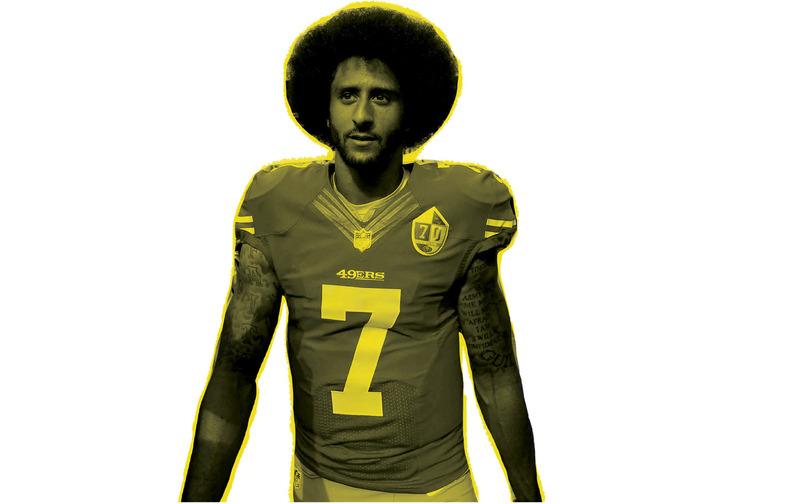 EDITOR’S NOTE: This article was adapted from Dave Zirin’s remarks at the Nation Institute’s December gala, where Colin Kaepernick received the Puffin/Nation Prize for Creative Citizenship. People say that this moment of athletic activism started with Colin Kaepernick taking that knee during the national anthem. But as Kaepernick would be the first to acknowledge, it didn’t begin with a knee; it started with the Black Lives Matter movement and the pressing need to stand up to racism and police violence. Just as, today, you can’t talk about the civil-rights movement of the 1950s without talking about Jackie Robinson, or of the 1960s without talking about Muhammad Ali, or of the women’s-liberation movement without talking about Billie Jean King, in future years you won’t be able to talk about this new millennial resistance to racism without talking about Colin Kaepernick. Check out all of our leader profiles from The Nation’sResistance at One special issue. Click here to download a free PDF of The Nation’s Special Issue. As the fiery Hotspur puts it in Shakespeare’s Henry IV, Part I: “tell truth, and shame the devil!” Kaepernick told the truth, but the devil doesn’t like to be shamed, and the backlash against him has been ferocious. He’s been showered with abuse by some of the most dangerous sewer-dwellers in America. And, of course, the NFL’s owners—who showered our white-supremacist president with millions of dollars—have collectively denied Kaepernick a living. Their intent, it is obvious now, was to turn him into a ghost story, a warning to other players: Don’t be like Colin or you’ll pay the ultimate price. But instead of becoming a ghost story, Kaepernick has become an icon of resistance, and we have all seen this sports season how athletes have used their hyper-exalted, brought-to-you-by-Nike platform to say something about the world. Still, while much of the coverage has been about professional athletes speaking out, the true resonance has been felt among our youth. High-school athletes across the US, in different sports, have taken a knee to protest the gap between the promises of this country and the lived reality of racism. This has turned the athletic field, which for so long has been either apolitical or a place of uncritical patriotism, into a site of visible dissent. Now we live in a world where sports, of all things, have given us an arena of tenacious resistance—and, most importantly, hope in very difficult times. What Colin Kaepernick has done is retaught an old lesson to a new generation: that courage is contagious.